You, sir, are an impostor! But think about it: have you ever wondered why the downtown Waffle Shop looks nothing like the other two? Well, here’s the secret – it’s not a real Waffle Shop. That’s right. The original Waffle Shop only has two locations: North Atherton and West College. The Waffle Shop has one location, and it’s downtown. It’s easy to mistake the two, as both have close similarities like the unlimited coffee, a wide variety of waffles and even an option to have tomato slices as a side. Crazy, right? So what’s the tip off, you might ask? Appearance. The Original Waffle Shop is kind of like your grandmother’s house- -away from campus but still close enough to be just a phone call away; a bit outdated, but always homey and ready to welcome you in. 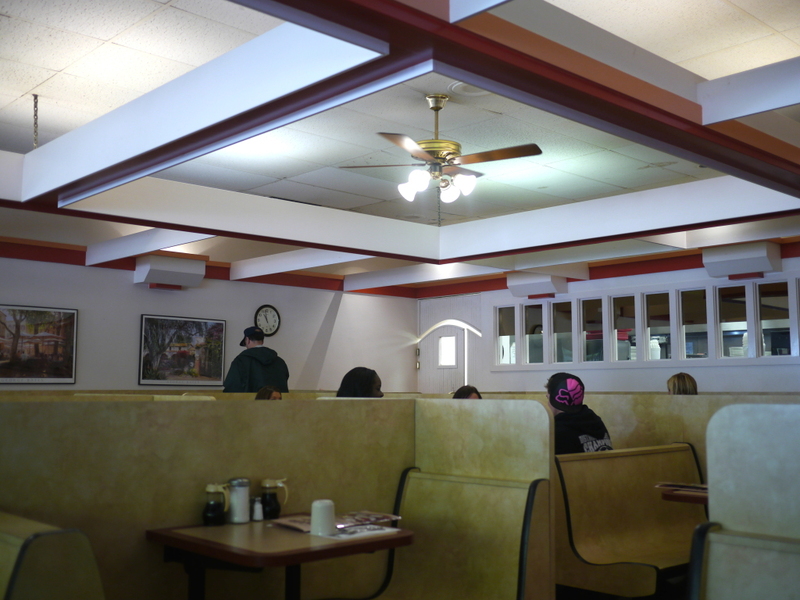 The downtown Waffle Shop is like your college kitchen– unappealing, a little tacky and, let’s be honest, only there to feed you while you’re away from your real home. 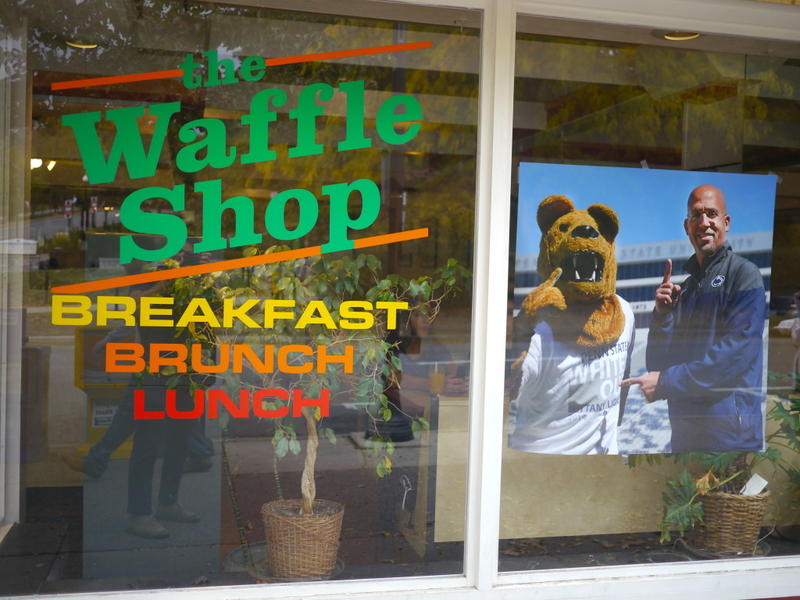 But the truth of the matter is that there is only one real Waffle Shop that’s worth eating at, only one Waffle Shop that Penn Staters know to flock to, only one Waffle Shop that can truly be counted on for impeccable food… and that is the Original Waffle Shop. Though the line often times extends around the building, the wait is never more than 15 minutes. 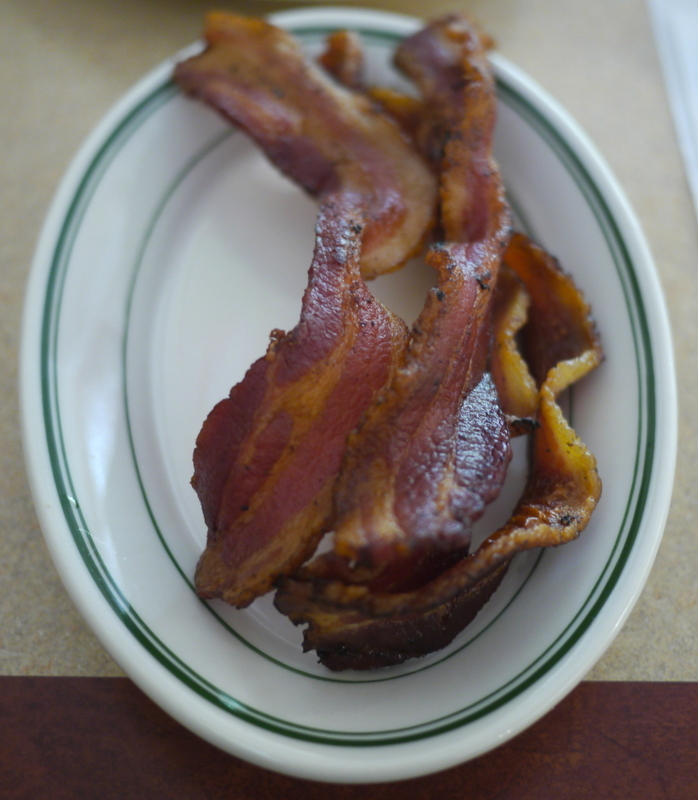 Once inside, the aroma of crispy bacon and fresh fruit wafts into your nostrils as your waitress, coffee already in hand, quickly greets you. I mean honestly, what could be better than that? Next time you’re visiting Happy Valley for the weekend, or just waking up from a long night out and craving some hearty breakfast food, make sure you hit up the Original Waffle Shop, located either on North Atherton St. or West College Ave. I am sure that there are people who love the fake Waffle Shop just as much as the original, but to me, the two can’t compare. From the service to the omelets to the burgers, everything is better at the original.